This image was taken at the Sight and Sound Theater in Strasburg, Pennsylvania. A manger was set up for the holidays. 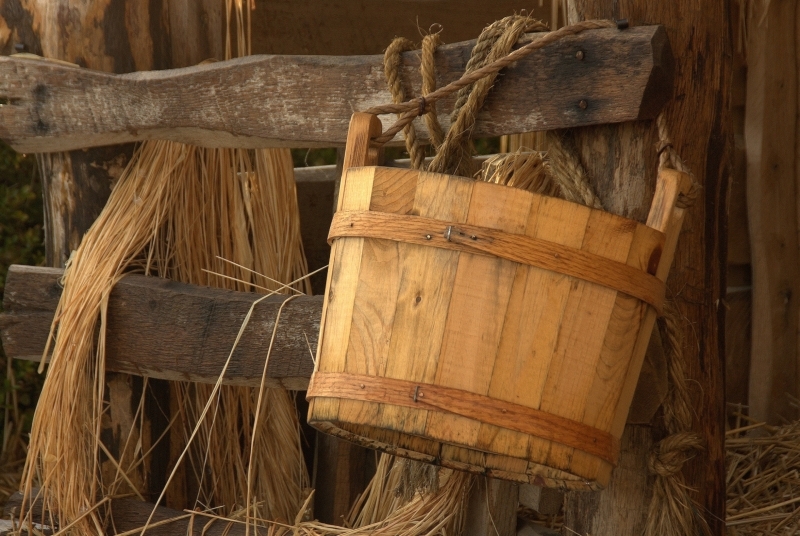 The bucket caught my attention, along with the hay and fence.